Google, a name known by all, a tool which is the all time favorite for engineers and students, a company which every start-up gets inspiration from, a network which has been ruling the internet since 15 years. 15 years ago when Larry Page and Sergey Brin shook their hands on this project in their little garage, little would they know that this lesser known startup would end up to become one of the largest tech company. The early primitive Google.com gave path to a large network of internet products, all successful. Be it the clean and fast Gmail or the world’s largest video collection YouTube, Google has satisfied customers and web surfers in each and every possible way. This 27th September, Google officially celebrated its 15th birthday with a piñata game, which I am sure none of you would have missed! But even if you missed it or if you want to play the game again, no doubt it’s still available on www.google.com/doodles/ To give a tribute to these glorious 15 years, here I have compiled a list of the best 15 products and innovations by Google so far. Google.com; the domain name registered on 15th September 1997, about an year before the company went public; is the well known homepage to the search engine giant and the homepage to their every other product as well. Google has indexed about 60 trillion web pages so far and is no doubt the most accurate search engine and an all time favorite for students. Search web content, images, news, videos and a lot more from the same place - www.google.com! Fast, clean, simple yet sophisticated, these words define the largest free email service provided by Google. Gmail, started in the year 2004, is the most preferred email service because of its large storage, clean and spam free environment. YouTube, the free video sharing website which had about 20 million unique visitors per month in the year 2006, was acquired by Google that year and now there are about 1 billion unique monthly visitors on YouTube. YouTube hosts the world’s largest collection of videos shared by amateur as well as professional video makers. In no time, the social network by Google reached about 500 million active users. Google+ succeeded in attracting professional business people, corporate men as well as fellow social geeks. Google+ had everything that you would expect from the online giant from features like cover pics and circle features to hangouts and #hashtags. Just like every other Google product, the best feature about Google Chrome, its very own web browser is – speed. Fast, simple and powerful would be some other adjectives that suit Google Chrome very well. In a very short span of time, Google Chrome replaced Mozilla Firefox to become the most used web browser. In the month of September this year, Google Chrome got updated with new features including the integration of Google homepage and Google+ notifications bar on every new blank tab launched in Chrome. Android was acquired by Google in the year 2005 and today, Android has one of the largest user base. Android is the smartphone OS which offered powerful features in mobiles which cost less. With more than 50 billion apps available on the Google playstore, Android is very famous in developers too. The originally called Blogspot.com was acquired, renamed to Blogger and brought to success by Google in the year 2003. Blogger is one of the largest free blogging platform used by millions of bloggers to host their professional as well as hobby blogs. This very blog is also hosted at blogger. Picasa and Picasa web albums are two products by Google used for organizing images offline and online respectively. Picasa web albums (picasaweb.google.com) offers 1GB of free storage for photos and videos which can be extended at some minimal costs. Google Maps is the well known tool that helps you find your way in unknown cities and places. Google Maps is the most accurate service which gets updated by its users and provides the most accurate paths and maps. Google Earth provides satellite views of the earth’s different locations and places, lets you view 3D buildings and maps. Google Earth is a free software whereas Google Earth Pro is a more advanced and premium software which costs about $400 per year. With the features like Google Apps, Google drive, Google docs, Google Adwords, Adsense, Google Website Optimizer, Google Webmasters Central, Google Analytics and a lot more, Google has succeeded in attracting business people and companies by making their online work easier. Google Apps are used by business bodies and institutions for managing a lot of features like email accounts, docs and sites based on the domain name of the institution. How about converting a 100 character long URL into a 10 character short, easy to share URL? This is what goo.gl is all about. If you see URLs like http://goo.gl/ZfhTf2 and click on them, the short URL would redirect to the original page which the person wanted to share. To create a short URL of your own, just visit http://goo.gl and enter the long URL. Goo.gl also gives tracking features which let you keep a record of the number of people who use your short links. If while searching for the best answer to a tricky physics question, you land on a German web page, don’t worry. All you need to understand the content is just http://translate.google.com . Google translate effectively translates the given language into English or any other language that you want from international languages like German, Spanish, French or Latin to even regional languages like Gujarati, Hindi and Bengali! Google Glass is a new device designed by Google this year, which is a combination of a smartphone, a wearable computer and a spectacle frame. This device is one of the only products which costs you something more than $0, obviously because this product isn’t an online product like Gmail or YouTube. The estimated cost of Google Glass is about $1500 and currently this product is available only to researchers and developers. 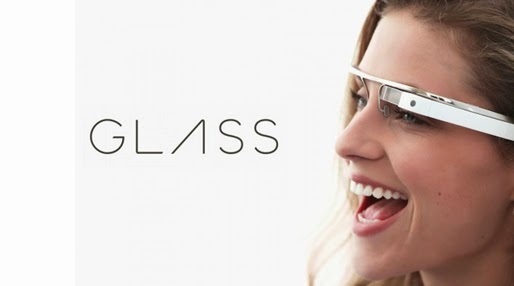 Read more about Google Glass. Launched this September, Google Web Designer is the latest addition to the innovative products by Google. 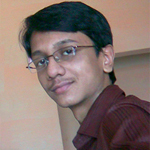 Google Web Designer is a free visual based designing tool to create HTML5 sites easily. Last but not the least, Google features some of the most interesting and fun features in the form of Doodles and Easters. Doodles are the images and animations featured on Google home page to celebrate worldwide or local important events. The first one being the burning man doodle which was designed to show that the owners Larry Page and Sergey Brin were taking a leave for a day to participate in the festival and the latest doodle being the piñata game to celebrate Google’s 15th birthday. Google also features a lot of hidden easter eggs in their search engine like the ‘do a barrel roll’ easter, ‘google gravity’, ‘the answer to life the universe and everything’ , ‘zerg rush , ‘google in 1998’ , ‘find chuck norris’ and many more easters. All you need to experience the fun is type the given search terms in the search box and hit search. To experience google gravity and ‘find chuck norris’, you need to visit the home page, enter the term ‘google gravity’ or ‘find chuck norris’ and hit ‘I’m Feeling Lucky’. Other special easters are http://google.com/pacman, http://www.google.com/mentalplex ,etc. These 15 products have made Google, the most well known and one of the largest tech company especially in the field on internet. Whether it be the search engine, the email service, the online documents and storage or the latest device Google Glass, Google has spread its wings on every field and is still transforming innovative ideas into real products, satisfying and attracting customers all over. With such an ever expanding territory, we can conclude that no alternative to Google exists till today and let’s hope that Google keeps expanding its reach with new products and features in its long future.